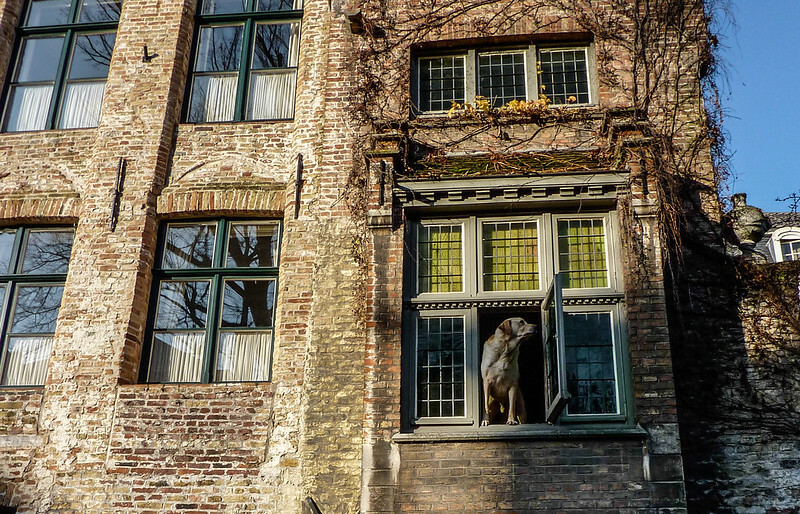 While touring the quaint canals of Bruges in Belgium I looked up to see a surprising sight. A curious dog, just peering out of the window as if it was completely normal. Nothing to see here! Just inches between its paws and a few metres fall into the water below. It captured my imagination and made me wonder just what it might be thinking. Whatever the case, it certainly had a good view from where it was sitting!